Yuuta is a Japanese name and is made up of 優 (yuu) “gentleness, superiority”, 悠 (yuu) “distant, leisurely” or 勇 (yuu) “brave” combined with 太 (ta) “thick, big”. 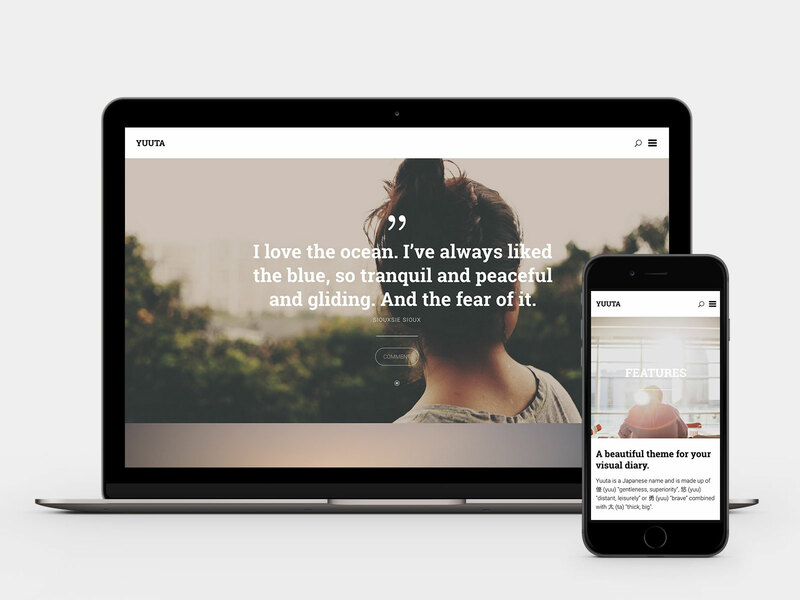 It is a clean and free WordPress theme designed to serve as a visual diary. Due to the support of all post formats, the Theme is capable of displaying a pretty diversified blog.